What would you do if you were in Mary’s shoes? After their divorce the parents insist on each of them having one of the kids living with them. Mary will live with his father, but she cannot get over the divorce and behaves very badly. 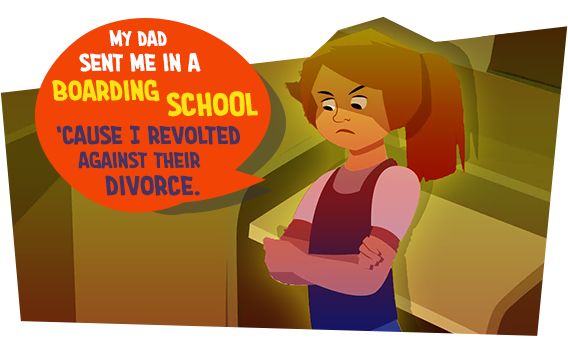 Her father finally decides it will be better for her in a boarding school. Mary hates the place and escapes several times. Enter the game and explore the right order of events, find out what happens to Mary! What should Jakob and Anna do? Jakob and Anna spend most of their time on the street. First they steal smaller items, but later they rob an electronic store. Police catches them and brings them in. 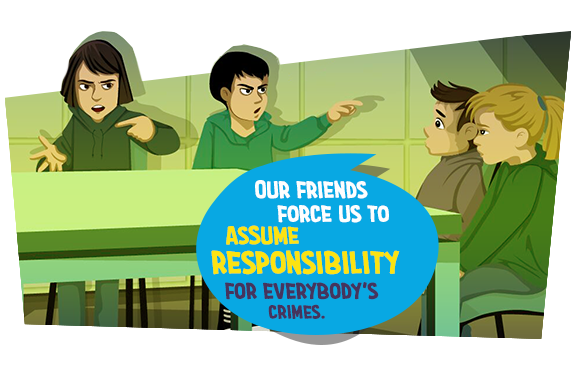 The older members of the gang threaten the younger ones and force them to assume responsibility for the whole thing. Is this a good idea? Enter the game, find the right sequence of Jakob’s and Anna’s story, learn about your rights! What do you think? Can they do something? The mother of Anne dies in a car accident. Their father has alcohol abuse issues and their grandparents are too old to care for them. 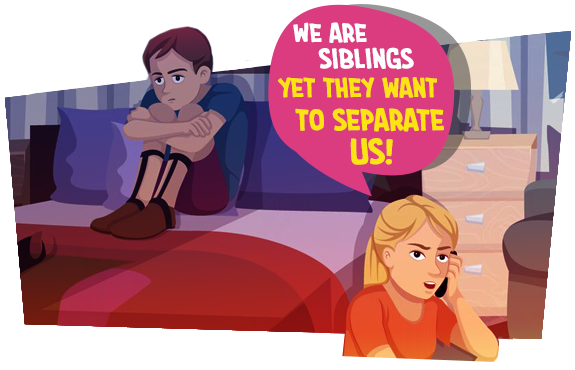 Mark has a physical disability which makes it difficult for the three siblings to find a foster home. Finally Mark needs to go into a care home for the disabled, while Anna doesn’t know what to do. Can she do something to keep them together? Enter the game, find the right sequence of events, find out what they can do in this situation. Will Peter go to jail for this? Peter’s dad works abroad and rarely sends money home. He has to help in caring for his siblings and in housework so he hardly has time for homework. His friends have the great idea that he should steal small items to help his family with money. 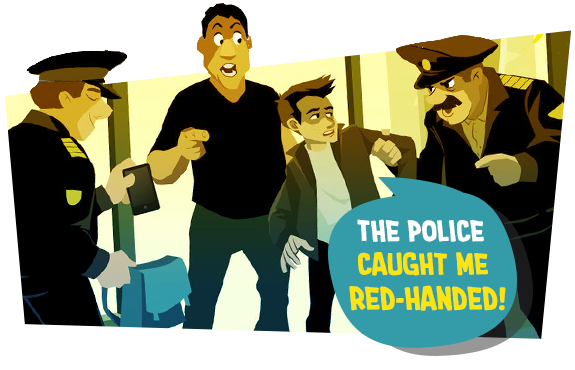 While he is caught a couple of times he is let go, until one day police catches him with 20 mobile phones. Enger the game, find the right sequence of events of Peter’s story, learn how to avoid his predicament.